This weekend we’ve got a bit of a break on the international rugby scene as for the first time in a while, nothing is happening. It’s a good opportunity to catch up on other clips though, starting with looking back at how and when this fantastic sport came to be. Many of you have played and loved rugby, but do you know the exact origins of the game for men (and ladies) with odd shaped balls? 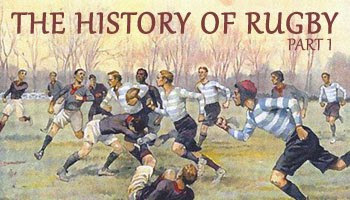 In the first part of this fascinating documentary, hosted by Rob Andrew, we get to travel back in time and find out more about how the game was developed from its humble beginnings at Rugby school in England. The story goes that while playing a game of football/soccer, William Webb Ellis picked up the ball and ran with it. Accounts of the story aren’t totally clear though, so you’ll get to hear from historians about how events transpired way back then. The documentary also goes through time and as the game develops, we see how it spread around the world and was taken on by countries such as New Zealand, Australia, and South Africa. The documentary will be posted in ten minute slots over the next week or so if it's popular. It’s a great way to learn a little more about the history of our wonderful sport, so check it out and please share the link with anyone you think would be interested in watching. This was AWESOME! I can't wait to see the other parts of the documentary! Thanks for sharing this. i seen rob andrew and thought oh dear, the bloke cant even put his tie straight. Great video thank you RD!! Great initiative, well done Rugby Dump ! please keep posting the other segments. Is there somewhere to get the entire documentary? Great post RD, looking forward to watching the rest, thanks! That's a brilliant idea, keep up the very good work RD! Amazing, all these rule changes and still no slippery slope to basketball or league. OOps. Rob Andrew = plonker, not planker. Very very interesting. I love seeing old footage of rugby. I always wondered why it's called a Try. Amazing at 8:16 how quickly they form a scrum! 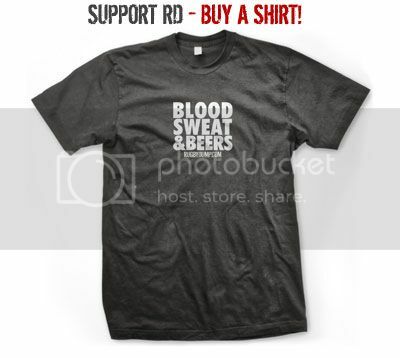 Terrific idea to post this RD. I enjoy reading about this stuff but it's always fascinating to see very old film of the game and I could watch it for hours. The Webb Ellis story is very interesting and shows the fragile nature of a lot of history that people take for granted as true. I'll be watching and re-watching this series with great pleasure. @Dane .. nobody's fooled, now back to the veldt like a good little boy. just wondering if anyone knows if this documentary can be bought at all? I loved seeing the old footage! I have been looking for a documentary like this for a while, thank you for posting it! I think i saw this documentary a few years ago. If it is the same one then I'd recommend putting the rest of it up. Really interesting - looking forward to the rest of it. ^ JW, despite your delusion Kiwis get arrogant too...why don't you go tend to your sheep like a good backwater boy instead. Anonymous said... JW, despite your delusion Kiwis get arrogant too...why don't you go tend to your sheep like a good backwater boy instead. I have no delusions about that at all, and I also have no doubt the guy was a SA fan trying hard to be funny. I was letting him know. Relax. Very good. Also interesting is that Guy's Hospital was the first rugby club in the world, the rather loose coming together and deciding the rules on the day type and Blackheath was the first open rugby club. The Rugby Club Plays of the Week - Yes Yes Yes!